The hot rollers have been in practice for a long time and are still popular. 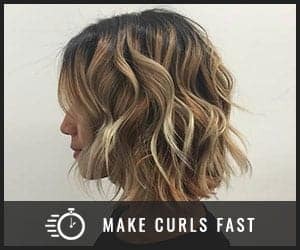 This fantastic tool has become favorite to people due to their quick styling time and beautiful looking curls as an outcome. I have fine and straight hair, but I like to curl them a lot. My hair is thin also. One question that I often get is how I get such perfect curls on my hair type. So, today I thought of exposing my secret behind it- it’s my favorite hot rollers. People with fine hair are always tensed while styling their hair as fine hair tends to be a little challenging to put on different styles. Sometimes, it’s termed as curl-resistant hair also because it cannot hold curls for a long time. However, with the perfect tools and styling products, one can turn fine, straight strands into beautiful curls which last the whole day. According to my experience, hot rollers were more effective in creating curls in fine hair than curling irons and wands. 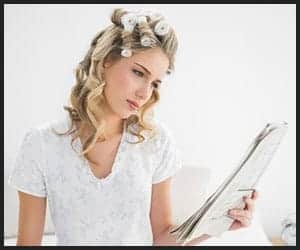 So, if you have fine hair and want to have eye-catching curls with less harm to hair, check out the benefits of hot rollers in the following section. Are you the one who goes to the office early in the morning and doesn’t get much time to style her hair? Hey, guess what? You could get easy 5-minute curls with hot rollers. Yes, what you just read is true. 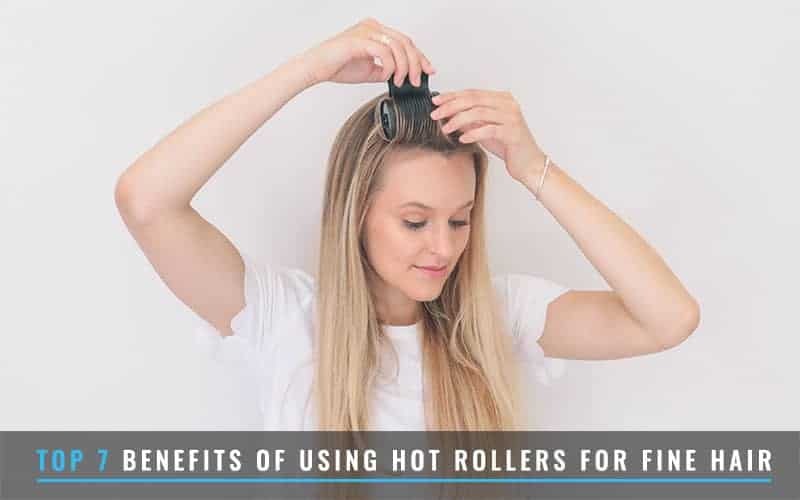 The hot rollers take anything about 30 to 90 seconds for heating up. You set them in your hair, and in only five to ten minutes, your curls get set. The time varies for different types of hair. 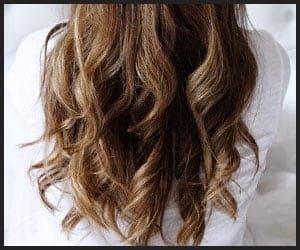 Fine hair tends to set the hot roller curls quickly as the strands are thin and the rollers can break the hydrogen bonds in those strands fast. So, all my fine hair girls! Get some bucks in your purses and go buy a set of hot rollers because you’re no longer away from getting pretty curls. To get the result even quicker than regular time, section your hair into thin strands. The thinner the strand for each roller, the faster the curl sets. Blow-dry your hair at least 90% before setting the hot rollers in your hair. The heat from the rollers will dry the rest of your hair when the style sets. If you have time and let the rollers sit in your hair for a good 30 minutes, your curls will be stronger than ever. So, hot rollers are useful to office-going beauties or those with busy schedules. I’m not saying they’re not beneficial for other people, but they’re definitely a go-to styling aid for the busy ones. I don’t think I need to explain this point. Women who’ve used curling or straightening irons and wands even for once in their lives, know very well that while using these tools one can burn fingers, neck, or cheeks if not being careful. There’s zero chance of getting such burns when you opt for hot rollers. I remember whenever I used my curling wand I’d always hold it much far from my face and neck so that I don’t burn my cheeks. As a consequence, the hair roots and the areas adjacent to my face would have loose curls rather than the textured ones I want. The hot rollers use a lot less heat than curling appliances. So, there’s no fear of burning the fingertips when you set them in your hair. Sometimes, hair strands also get burnt when you use too much heat on such thin strands. So, you see, as fine hair means the thinnest of hair strands, they’re much prone to get burnt due to excess heat. So, for fine hair, hot rollers are especially favorable. Now, if you want to avoid these frequent skin burns, you should use hot rollers. We all know that applying heat on hair is harmful to the health of our hair. Excessive heat application diminishes the natural oil production on the scalp, resulting in rough and damaged hair. We know it’s harmful and yet we cannot leave our favorite hair styling tools which, almost all of those, use more or less heat. Fine hair is naturally more likely to suffer heat damages than all other hair types. So, it’s advisable that you be gentle on applying heat if you have fine hair. Hot rollers use the least amount of heat among all other hair curling tools. Therefore, they cause less damage to hair. The best hot rollers for fine hair will never get you bankrupt. If you have a couple of bucks in your pocket, you can go to the nearest drugstore to have your first set of hot rollers without the fear of running out of money. These sets are budget-friendly. If you search the marketplaces, you’ll see lots of suggestions and a long list of products. You may also notice that the price range is much reasonable. Of course, there are some brands which have high-end rollers that cost hundreds of bucks, but you don’t need them in the beginning. Start by experimenting with the cheap ones, and once you master the techniques, you can decide whether you need the expensive ones or not. If you’re worried that the curls won’t last the whole day when you use hot rollers, chill out now because what you think isn’t true. We use a setting spray after doing any hairstyle, right? We have to do the same for fine hair, and that’s all it takes to get long-lasting curls. Here’s a little exception for fine hair. For fine hair, using a volumizing spray while setting the rollers and a texturizing spray after removing them work best. There are various types of hot rollers of which some are well known for creating lasting curls. There are wax rollers which use a specific kind of wax suitable for hair so that it can hold the curls throughout the day. We, fine haired ladies try our heart and soul to add body to our hair, to make them not go flat on the head. It’s so difficult to add volume to fine hair, ain’t it? But wait, where’s your magic roller set? Yeah, I’m talking about the hot rollers. I tell you they give you more volume than all other curling tools. Wanna know why? 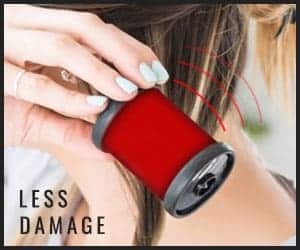 It’s because it works closer to your hair tips than the other gadgets. Due to its close-to-the-hair-roots workstation, it works more effectively to boost volume. My hair is thin, and it used to be difficult for me too to make my hair look voluminous. However, when I met the lovely hot rollers and used them, I could tell the difference from the very first use. My current go-to secret recipe for most days which is no longer a secret I guess is mixing a little mousse and volumizing spray/gel before setting the hot rollers. So, bid farewell to no-volume hair days. Now, you can catch everyone’s attention like me because you know my secret and I’m confident that you all can master it. This point is not valid for only fine hair but also every other type of hair. You can leave the rollers on your head and do other chores. As for curling wands or irons, you need to be engaged with the tool for the whole time. The case isn’t the same for rollers. So, you get plenty of time before your curls get appropriately set. Some rollers give you the freedom of sleeping with them on without causing any damage to your hair. Always dry your hair up to 90% and not more than that before using the hot rollers. Use volume-adding shampoos, conditioners, mousses, sprays, etc. to make your fine hair voluminous. Never forget to finish the styling with a setting spray. The rollers need a little getting used to. So, you can practice doing your hair with them a couple of times before you go for actual styling with them. So, you can now understand why I love curling my hair with hot rollers and that I don’t go bragging about them. They’re genuinely much more than a friend to fine hair. I love these hot rollers, and I bet you’ll fan in love with these once you start using them and getting compliments.